NewAir MiniDryer36W Portable Clothes Dryer 13.2lb. Capacity/3.6 cu.ft. 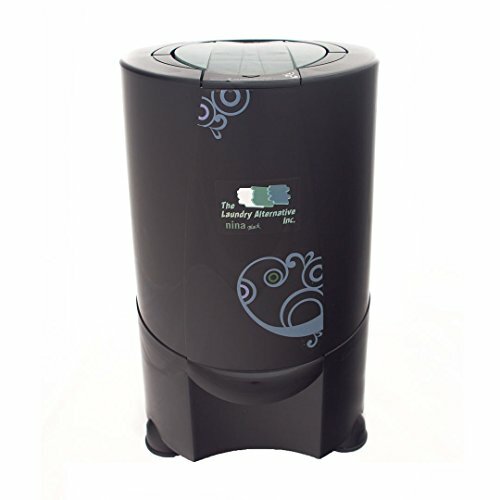 With a spin speed of 3200rpm this gravity drain spin dryer from Panda is designed to remove as much excess moisture as possible from your laundry, thereby reducing drying times and costs and helping to prolong the life of your laundered items by removing more harmful mineral deposits and detergents than your washing machine can alone. Gravity draining means the product can go anywhere without being located to a sink or drain. Just place a small bucket under the outlet to catch the water. 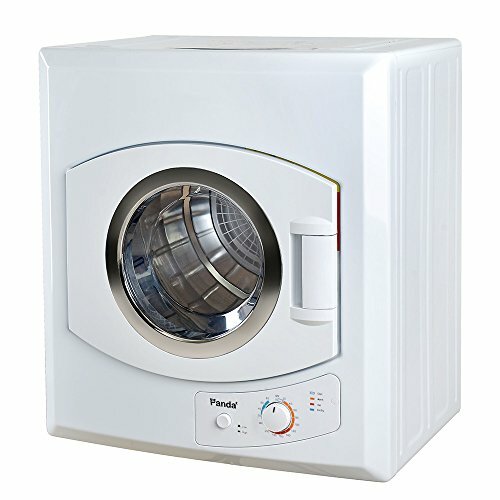 With a spin speed of 3200rpm this gravity drain spin dryer from Panda is designed to remove as much excess moisture as possible from your laundry, thereby reducing drying times and costs and helping to prolong the life of your laundered items by removing more harmful mineral deposits and detergents than your washing machine can alone. They are easy to move and small enough to operate in a restricted space. Our spin dryers remove excess moisture from your washing load in a speedy and efficient manner, leaving it with less residual water. It is very gentle on your clothes. Stainless steel drum to ensure long life. Completely Safe with Safety Locking Lid and Stabilizing rubber feet Model: PANSP21W color: White Voltage Frequency 110V-120V/60Hz Capacity Max: 22lbs Spin RMP: 3200 Power: 300W Stainless Steel Drum Safety Locking Lid Stabilizing rubber feet Dimension: measuring 25. 5inch tall with a diameter of 13. 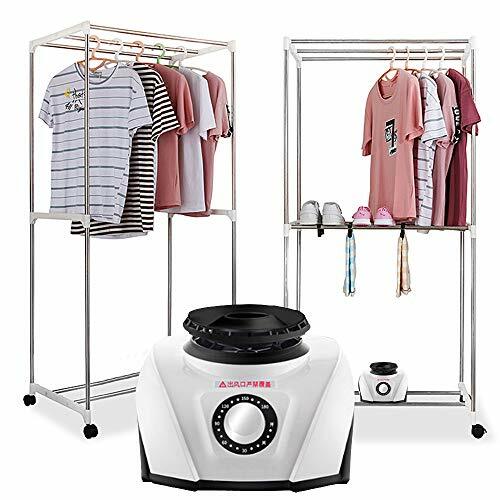 5inch Weight: 26lbs Please acknowledge before purchasing: this is a high speed spin dryer to spin clothes to damp dry condition, it is NOT a heated dryer that can 100% dry the clothes. Unit Dimensions (W * D * H): 23.5" x 23" x 26"
Master Carton Dimensions (W * D * H): 26.5" x 24" x 31"
New High-End model of Panda compact portable dryer with the streamlined designed body and touch-Screen Control Panel. Obtain Sensor Dry functions (Auto, Towels, Heavy Dry, Delicate and normal) by the intelligent humidity sensor and Manual dry functions (Hot, Warm and Air Dry). This compact dryer with 3.75 cu.ft capacity makes it easy to quickly dry clothes, sheets, table linens, and more, without taking up a lot of room - Perfect for apartments or other small living spaces. It perfectly coordinate with any Panda washers, and any other compact washing machines. 110 Voltage can be plugged anywhere. Intelligent Humidity Sensor, Touch-screen control panel. The Magic Chef 1.5 cu. ft. compact electric dryer is just what you need when you have small laundry loads and do not have tons of space for a laundry setup. Its compact, space-saving design makes it perfect for apartments, dorms or even RVs. For added convenience, you can mount it on the wall or place it on your countertop. 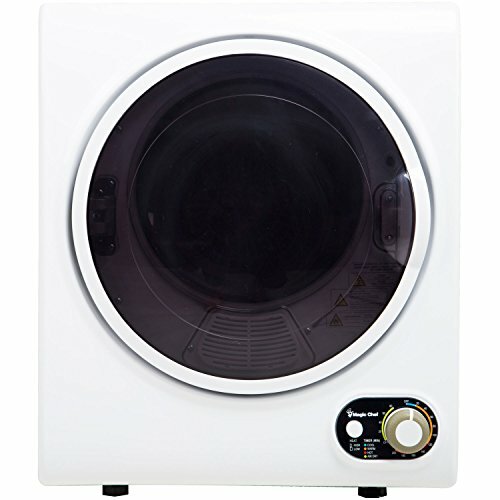 It uses a standard 110-Volt (120 VAC, 15 Amp) outlet, eliminating the need for special wiring that is required with many other dryers. Two heat levels plus Air Dry provide options for proper fabric care. Four timer settings offer versatile drying options. Need a dryer, but can't seem to find the space? The Newair MiniDryer was made for you! Even if you live in a dorm, apartment, or other space where you can't add additional vents or fixtures to the wall, it's no problem. This compact, lightweight, and highly portable dryer saves you time and money without forcing you to give up the square footage of your living space. 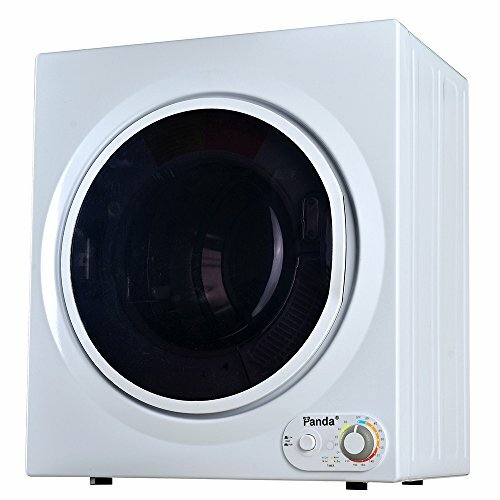 We carry three sizes of Panda portable dryers, this one is the largest one.- 3.75cu.ft capacity. This compact dryer makes it easy to quickly dry clothes, sheets, table linens, and more, without taking up a lot of room - Perfect for apartments or other small living spaces. It perfectly coordinate with any Panda washers, and any other compact washing machines. 110 Voltage can be plugged anywhere. Brand: Panda | Manufacturer: SNP Trading Inc. The new Nina comes with a tall, built-in handle that makes transport easier and keeps bending to a minimum. 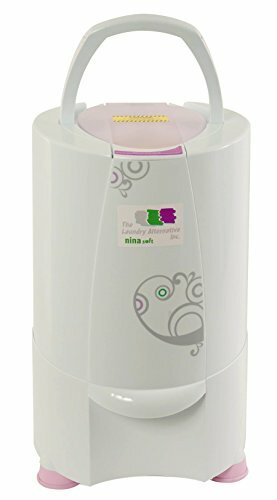 Better still, this portable dryer machine only weighs a comparatively light 15lbs, and at 136W, is 100 times as energy efficient as a conventional dryer.Nina Soft Spin Dryer is that, with a super quick 1800-RPM spin speed, it effectively removes most of the water that your washing machine doesn't. The new Nina comes with a tall, built-in handle that makes transport easier and keeps bending to a minimum. Better still, this portable dryer machine only weighs a comparatively light 15lbs, and at 136W, is 100 times as energy efficient as a conventional dryer. It perfectly coordinate with any Panda washers, and any other compact washing machines. 110Voltage can be plugged anywhere. It comes out warm air, it's fine if leaving in the room in winter. It's ideal to mount on the wall. Wall mounting kit includes. 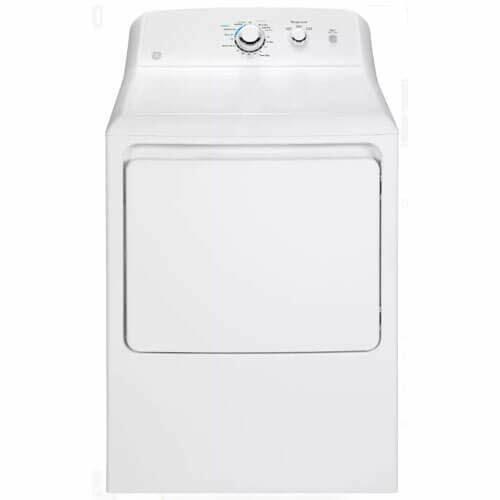 This compact dryer with 13lbs cloth capacity/ 3.75 cu.ft. makes it easy to quickly dry clothes, sheets, table linens, and more, without taking up a lot of room--Perfect for small living spaces, such as apartments, dorm, or condos. It is also lightweight enough so you can take it with you in an RV or camping trip. The ETL/CETL-approved, 110Voltage can be plugged anywhere and matches any Panda Portable Washer. Energy save 1500Watts and features a spacious 3.75 cu. ft. drum, a removable interior lint filter, and a user-friendly control panel. Choose drying time, from 20 to 200 minutes. A wall-hanging bracket comes included, can be wall mounted. With rear-venting, can be vented, or recirculating under general room condition where sits close to the window. Or, buy and apply with the extra indoor venting kit. Since it's 110V, it may take longer to dry than a regular dryer of 220v. Unit Dimensions (W * D * H): 23.6*21.2*26 inch"
Fast heating, no waiting.Timing function, no need to watch.Safe overheat protection to prevent excessive temperature. The small size makes it portable. It's compact feature is perfect for small space like apartments, dormitories, and more. The clothes dryer can ensure your clothes to be dry sooner. Even though it lasts rainy, you can still put on your beautiful dresses every day. 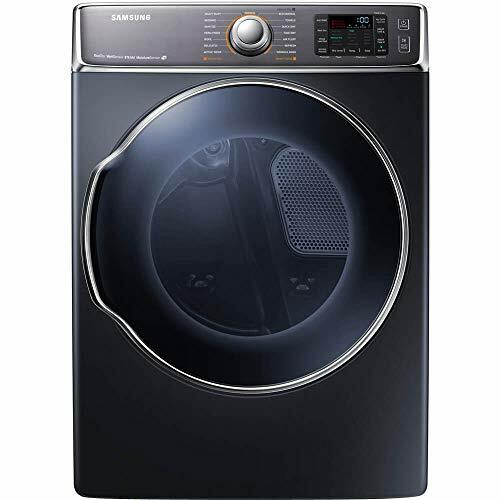 In order to provide a comfortable environment, the noise of this clothes dryer is minimal. So please don't worry, it won't influence your normal conversation and sleeping. - Remove the paper filter gently and clean them with a soft brush or vacuum cleaner. Do not wash with water or other liquid. 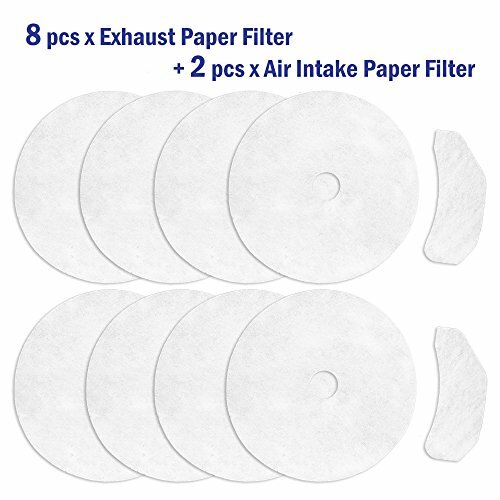 - Exhaust Paper Filter is recommended to change every 3 months, the air intake paper filter is recommended to change every 12 months. 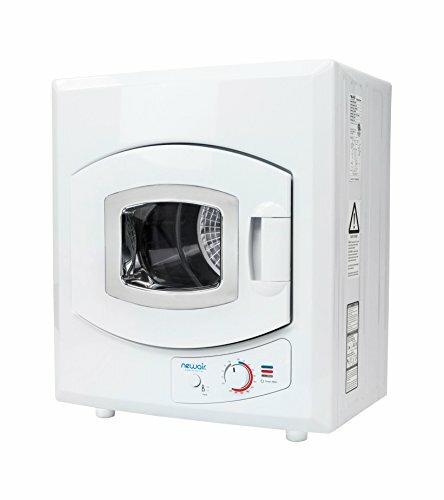 Fits Panda / Magi Chef / Avanti dryers. 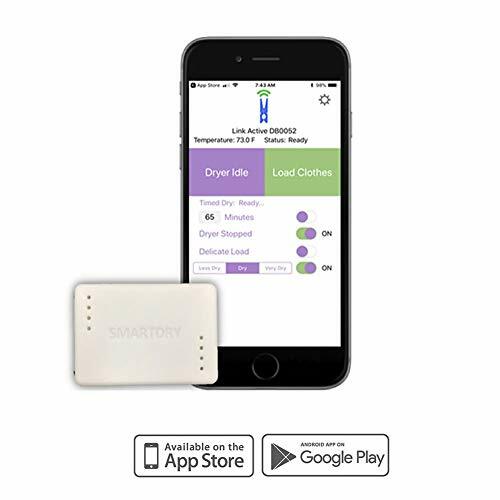 SmartDry is a smart home sensor that converts any clothes dryer into a smart appliance. Now works with Alexa, iOS and Android smart phones! No wires or messy installation. Simply install the wireless sensor kit along with the App on your iPhone or Android and you'll be getting useful time saving alerts right away! Smart Dry is a unique IoT product that easily snaps inside any clothes dryer (Electric or Gas). Once installed, SmartDry will monitor your laundry and send alerts when it has stopped, when clothes are dry, and when delicates are ready. It will send alerts to you anywhere and there are no subscription fees whatsoever! SmartDry has no range limit because it runs on the world's leading cloud services! On average, SmartDry users save 15 minutes per load! You will immediately start saving time, money, and energy! SmartDry sends Alerts when your Dryer has stopped, Clothes are Dry, Delicates are getting too hot. Lets you check in on your clothes status via the App or Alexa anytime, anywhere. Completely wireless and NEW easy setup with the FREE SmartDry App and Alexa Skill (iOS and Android). Works with ANY electric or gas clothes dryer. Specifically designed and rigorously tested for high temperature harsh environments. Great addition for Alexa and any laundry room to complete your smart home. Includes everything you need to start getting SmartDry alerts today. Easy to use Set and Forget Alerts. SmartDry comes with a one year worry free warranty. 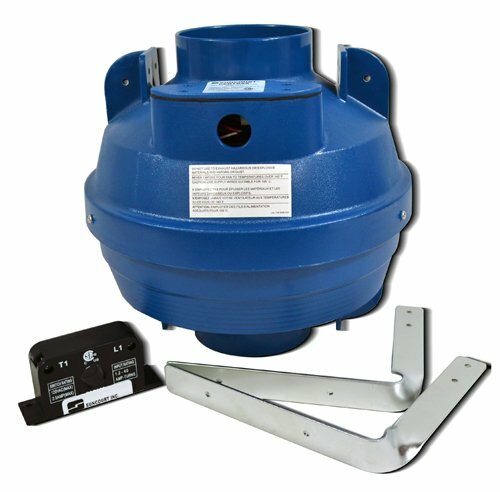 Made for residential, commercial, and industrial dryer vent problems, Suncourt's Centrax Dryer Boosting Kit will supplement the fan in your dryer to enhance it's efficiency. The inline construction allows for easy installation and will help reduce clogging. With a high temperature rating, this kit too has a thermal overload projection in case things do get just a little bit too toasty. Once the fan has cooled down enough, the automatic reset will trigger and your fan is back in action. Reduce the wear and tear on your dryer, reduce drying cycles, and best of all save energy usage! QUIET AND EFFICIENT FAN - The impeller is properly balanced and paired with the motor making this a powerful, yet near silent inline fan. BACKWARD INCLINED BLADES - Allows the dryer booster fan to generate high pressure to get through long duct runs and help prevent lint clogging the fan. 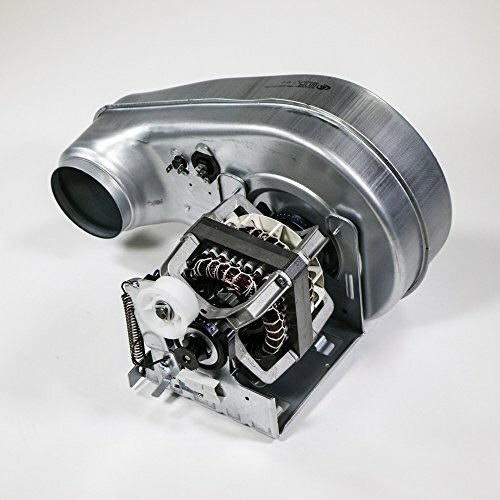 HIGH HEAT CAPABILITY - This fan will work with most electric dryers on the market and is effective in high temperatures up to 140 degrees Fahrenheit and 60 degrees Celsius. THERMAL OVERLOAD PROTECTION - If the temperature does get too hot, the system will shut itself down giving you peace of mind. AUTOMATIC RESET - In the case of the fan shutting down, it will automatically reset itself after it has cooled down. No need to turn back on or push any buttons. 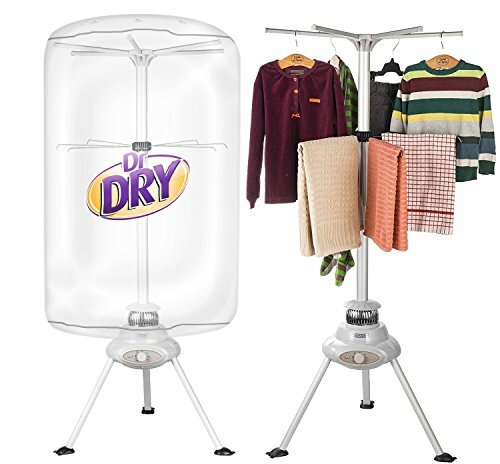 If you are stuck with loads of laundry and without a dryer, this Dr. Dry portable dryer. is for you. Instead of hanging on clotheslines and checking every 5 minutes if it dropped Or covering every exposed inch of your house with delicate clothing that cannot go in the tumble dryer, You have a perfect solution: Dr. Dry's portable dryer. Dry clothes efficiently from anywhere. It's easy to assemble and just plug in to operate. The Dr. Dry portable dryer will dry your clothing without damaging, shrinking, or creasing any delicate clothing. It does not need any vents gas lines or special outlets, so you can just plug in your regular outlet and voila! you have a dryer. When disassembled it will fit in a regular laundry basket, that's how compact it is. Included free is a rack for towels, so you can now dry more in one load. Running the portable dryer will not cost you a whole lot of money either, without a gas line and with minimal power it will cost you a fraction of a typical dryer. Set the timer or just set to "ON" and you will have dry clothes in no time. Does not damage clothing like traditional tumble dryers, suitable for every type garment. 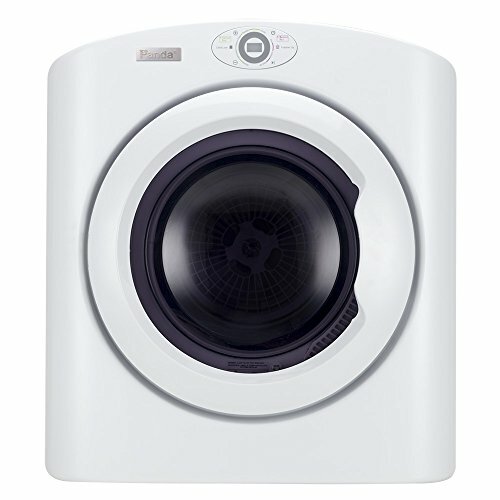 Powerful but quiet motor, will dry your clothes and without noise. No vent or special outlet needed. 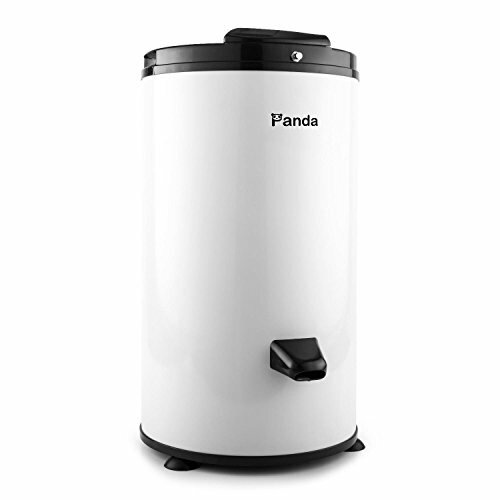 This is the Largest Size of Three Panda Portable Dryers we are carrying- 13lb clothes capacity. 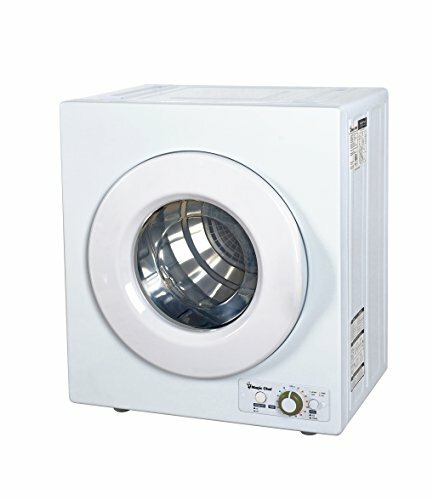 This compact dryer with 13lbs cloth capacity/ 3.75 cu.ft. makes it easy to quickly dry clothes, sheets, table linens, and more, without taking up a lot of room--Perfect for small living spaces, such as apartments, dorm, or condos. It is also lightweight enough so you can take it with you in an RV or camping trip. The ETL/CETL-approved, 110Voltage can be plugged anywhere and matches any Panda Portable Washer. Energy save 1500Watts and features a spacious 3.75 cu. ft. drum, a removable interior lint filter, and a user-friendly control panel. Choose drying time, from 20 to 200 minutes. A wall-hanging bracket comes included, can be wall mounted. With rear-venting, can be vented, or recirculating under general room condition where sits close to the window. 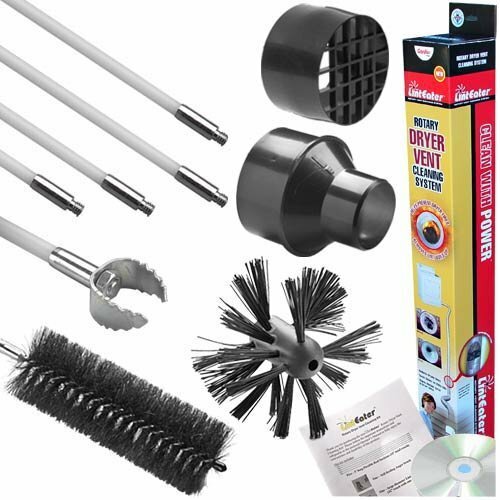 Or, buy and apply with the extra indoor venting kit. Since it's 110V, it may take longer to dry than a regular dryer of 220v. 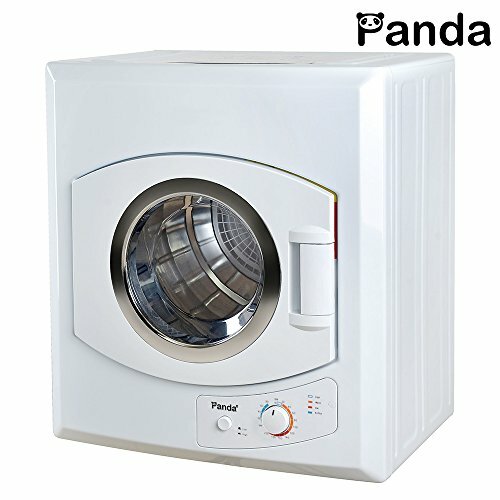 key Features: Brand: Panda Model: PAN60SF (Apartment Size) 120V/ 60H White 13lbs capacity /3.75cu.ft. Power Source: 110V - 120V/ 50HZ - 60HZ Rated Input: 1500W Stainless steel tub 4 dryer temperature selections Wall mounting bracket included Removable lint filter included Unit Dimensions (W * D * H): 23.6*21.2*26 inch" Master Carton Dimensions (W * D * H): 23.5*26*30 inch Unit Weight: 55 lbs Master Carton Weight: 68 lbs 1 year manufacture warranty.